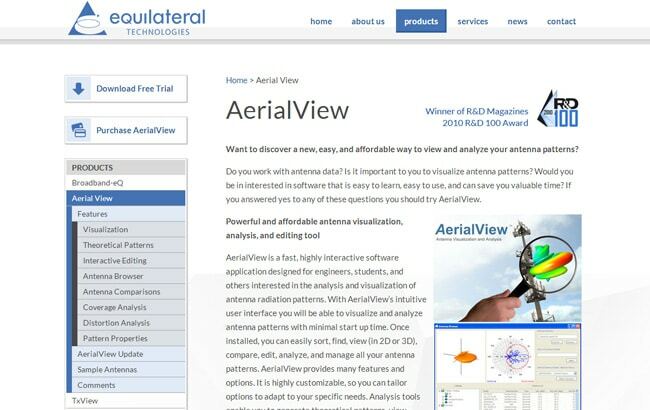 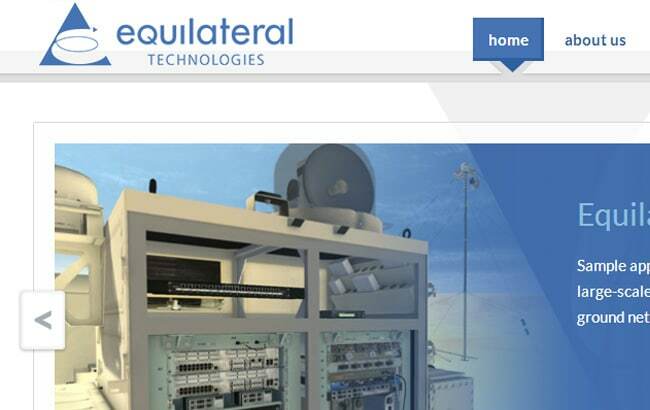 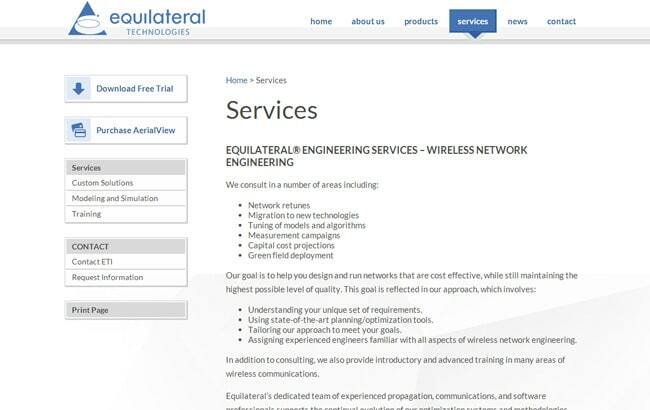 Equilateral Technologies develops and markets software tools for the planning and optimization of commercial and military wireless networks, as well as providing network planning and engineering services to the wireless telecommunications industry worldwide. 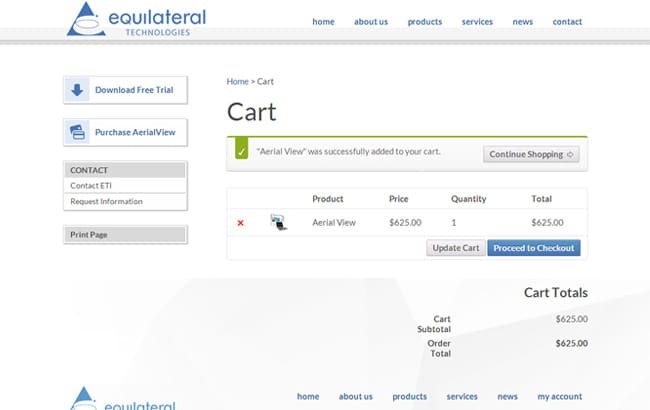 GoingClear worked diligently with Equilateral Technologies upper management through several revisions and migrated their old Volusion based eCommerce framework system as well. 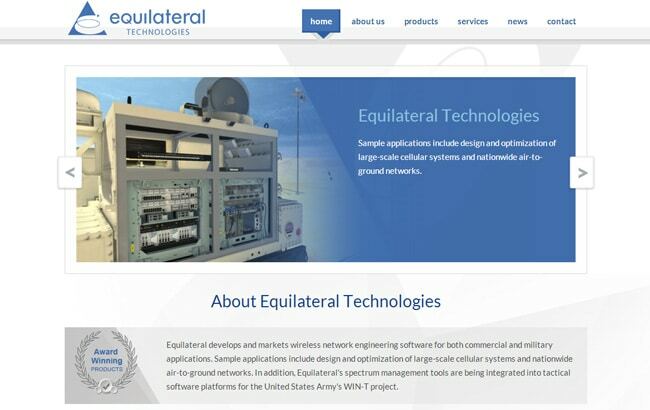 Where they once had two different websites, we successfully developed their new website into a user-friendly, unified CMS system and eCommerce order manager. 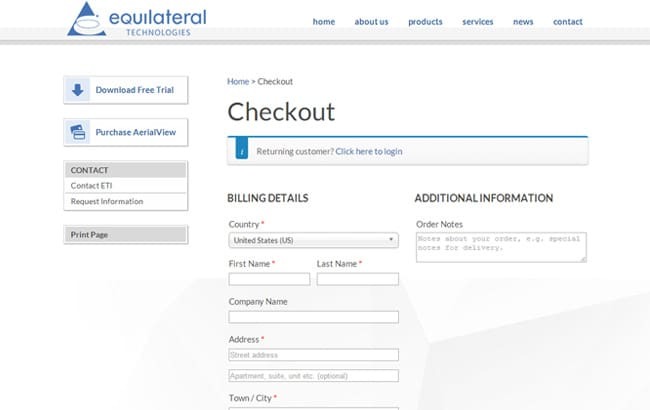 We also customized the back-end system with advanced country filtering to prevent certain countries from ordering key products. 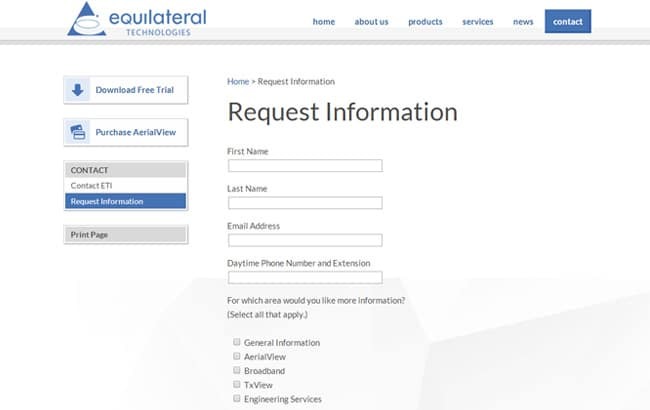 Other features included were a download and trial link system with built in defensive spam controls and so much more!